Nearly 200 LGBTQ short and feature-length films from around the world will be screened during Outfest 2017. That would be a lot of celluloid if movies were still released in non-digital formats. Running July 6th-16th at various venues in and around Los Angeles, the annual festival will be more fabulous than ever thanks to its roster of local premieres. Outfest began as a three-day media conference on the campus of UCLA way back in 1982. 35 years later, it is the largest LGBTQ film fest in the world and the largest of the many film festivals that take place in LA each year. 40,000 attendees, filmmakers, community leaders and other bigwigs (in some cases, such as the screening of Suspiciously Large Woman: Bob the Drag Queen Comedy Special on July 10th, people literally wearing big wigs) participate in Outfest’s plentiful screenings, panels and parties. Caftans might actually be fashionable this year thanks to the July 12th debut of The Fabulous Allan Carr. While his name may be unfamiliar to the under-40 crowd, plenty of us more mature gays recall the flamboyant producer of such big-screen musicals as Grease, Grease 2 and Can’t Stop the Music as well as the original Broadway production of La Cage aux Folles. Award-winning documentarian Jeffrey Schwarz (who previously made Vito, I Am Divine and Tab Hunter Confidential) crafted this loving expose of Carr, who also helmed the notorious 1989 Academy Awards ceremony before his untimely death at the age of 62. Carr became a multi-millionaire with Grease, which remained the most successful live-action movie musical from 1978 until this year’s Beauty and the Beast. Sadly, he lost much of his fortune not to mention his reputation just two years later when he produced the uber-campy Village People biopic Can’t Stop the Music. “The challenge with The Fabulous Allan Carr was to look beyond the caricature and explore the inner life of a complicated, contradictory man,” Schwarz said. 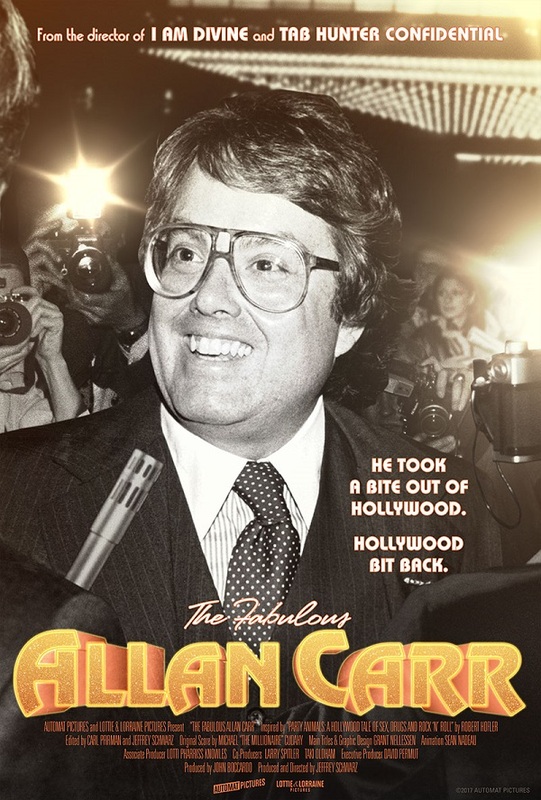 I found The Fabulous Allan Carr revelatory in addition to just plain entertaining and can’t recommend it enough. Beyond Outfest, people can follow the film on its website as well as on its Facebook and Twitter pages. The term fabulous can also be applied to Billy Bloom, the central character of Freak Show. 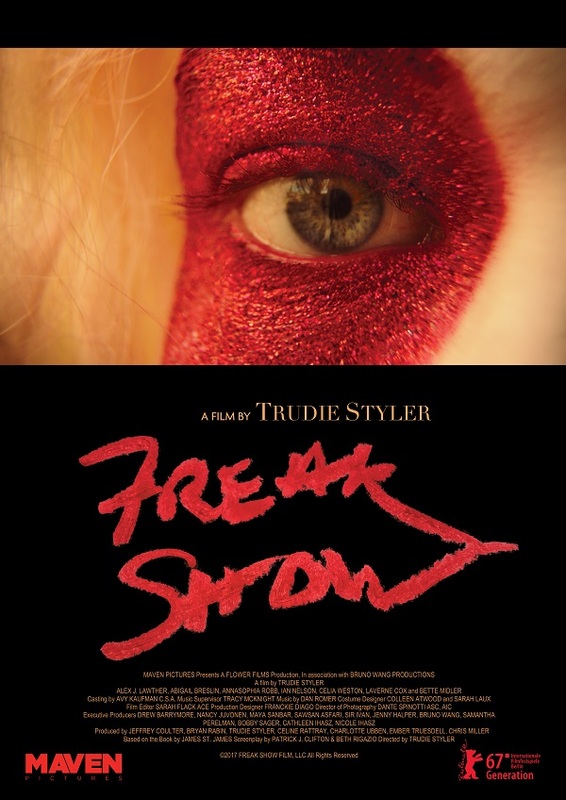 Based on James St. James’ acclaimed novel, Freak Show will serve as this year’s Closing Night Gala screening on July 16th. Making the comedy-drama even more noteworthy is a rare big-screen appearance by newly-anointed Tony Award winner Bette Midler as Billy’s eccentric mother. Laverne Cox and Abigail Breslin, Little Miss Sunshine herself, are also featured. Billy (played by the extraordinary Alex Lawther) unexpectedly finds himself shipped off to live with his conservative father. His new high school, Ulysses S. Grant Academy, doesn’t take well to Billy’s larger-than-life personality and fashion sense. Just when all seems lost, he finds a friend in the school’s super-cute star football player, who is secretly a budding artist. Newly empowered, Billy goes up against Breslin’s bitchy Bible-thumper for the title of Homecoming Queen. Freak Show is a visually dazzling crowd-pleaser thanks to the participation of legendary cinematographer Dante Spinotti (Beaches, The Mirror Has Two Faces and L.A. 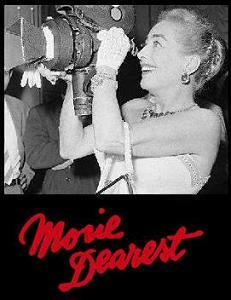 Confidential, among many other credits). Speaking of visually dazzling, there are probably no two more gorgeous men to be found on screen during Outfest than out actor Russell Tovey (of Looking and Pride fame) and Arinze Kene (Fantastic Beasts and Where to Find Them). They co-star in The Pass, screening July 7th, as fellow pro athletes who end up having a complicated relationship. It is a thoroughly unpredictable, ultimately bittersweet romance, and it doesn’t hurt that both in-shape actors are minimally dressed throughout. 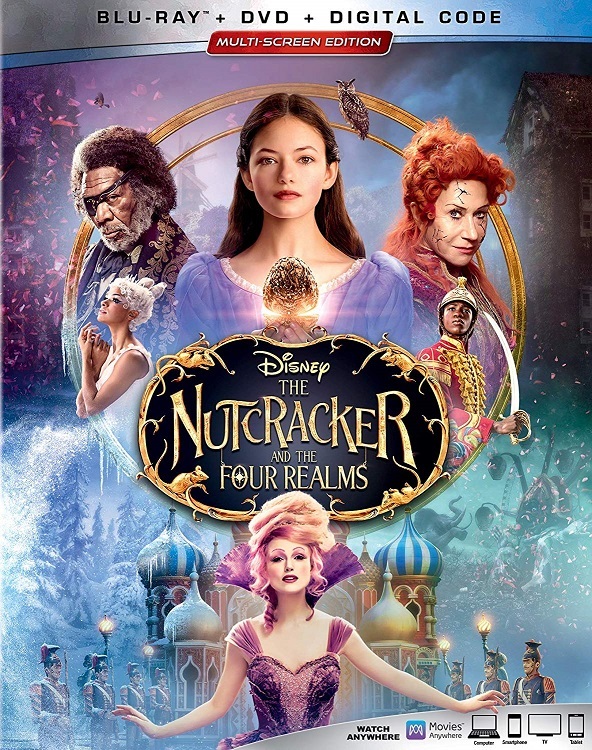 This year’s festival isn’t without a fabulous movie musical! Hello Again is a polysexual song and dance saga adapted from Michael John LaChiusa’s celebrated off-Broadway show. The film will have its LA premiere on July 11th. 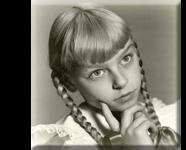 An all-star cast including Martha Plimpton, Audra McDonald, T.R. Knight, Rumer Willis (especially good) and Cheyenne Jackson play an assortment of intertwined lovers who cross paths over the course of 12 decades. Tom Gustafson, who previously helmed the 2008 Outfest hit musical Were the World Mine, directs. Opening night on July 6th will feature the LA premiere of Sundance award winner God’s Own Country, a love story between a British sheep farmer and a Romanian migrant worker. Also, openly gay TV producer Bryan Fuller (American Gods, Hannibal and Pushing Daisies) will be presented with the 2017 Outfest Achievement Award. All in all, Outfest 2017 is going to be fabulous. Visit the Outfest website for the full festival schedule and to purchase tickets.